Sirens blare behind you, the sounds of rubbing squealing against the pavement and the tail of your car barely misses the corner making it a clean getaway from the police and another sound victory for one of the most wanted racers in Fairhaven. This is what you will be dealing with in EA’s latest major racing game. Being in the habit of rebooting a lot of their major Need for Speed titles from the past, EA has decided to remake one of the most popular titles in the series library, Need For Speed: Most Wanted. Your goal in the latest Need for Speed title is to reach the top of the Most Wanted List and become the most wanted racer in town. To do this you will have to complete events that range anywhere from breaking billboards and gates blocking secret roads, to breaking free from a cop chase and completing some of the most dangerous, intense races in town. Most Wanted does not hold any hands at the beginning of the game, right off of the bat you are thrown into the city of Fairhaven, a city filled with street racing and cop chasing. The game opens up to give you the classic Need for Speed feel, intense music blasts from the speakers as you tear your way through Fairhaven the first time. Once you are finished with that beginning scene though there is nothing left to see in the offline singleplayer mode of this game. There are cop chases, multi lap races and racing duels all throughout the city but offline is lacking.This is because the game has one thing that seperates the offline singleplayer from the online singleplayer, Autolog. 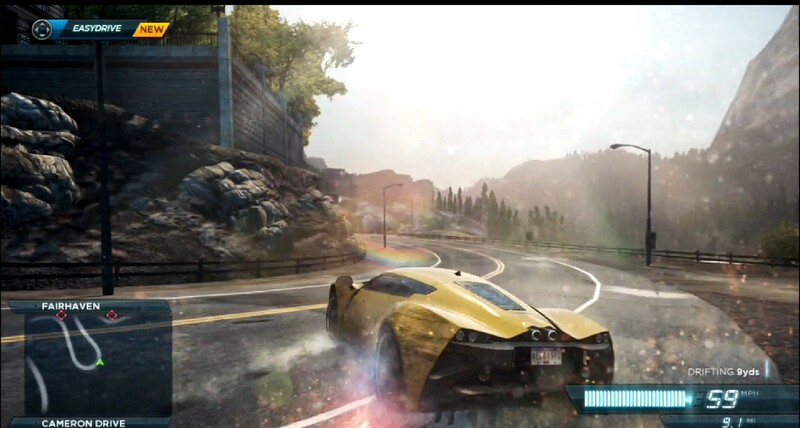 You may be familiar with Autolog from Criterion’s last Need for Speed title Hot Pursuit. Autolog is a service that connects everything you do in the game for all of your other racing friends to see and if you have many friends playing the game at the same time you are it can lead to a ton of fun. 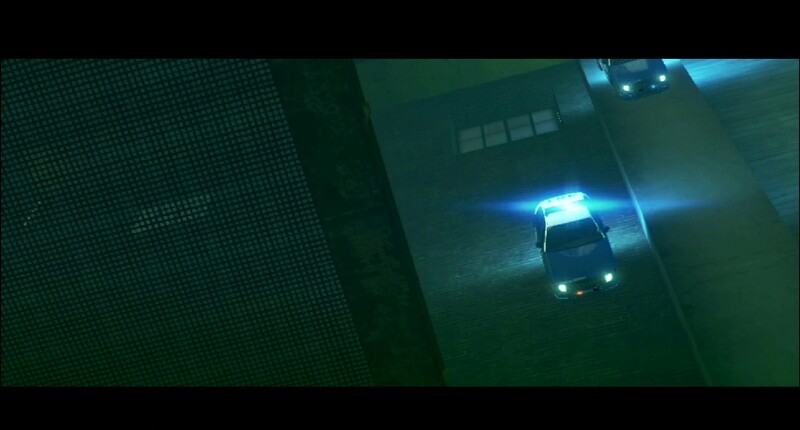 In Most Wanted all of your race times, the gates and billboards you smash and how many cars you hijack all post online for everyone to see and when your score is beaten by someone on your friends list Autolog notifies you and gives you experience to rank higher. While Autolog is a really great feature it still doesn’t excuse the fact that the game, in contrast to the original Most Wanted, has no storyline at all which takes away from the games character a lot. Fairhaven feels like a dead city where the only things living are cops waiting around every corner because they have a couple of phrases that may make you chuckle, even then those are recycled after the third chase. The city is in no way empty, there are tons of things to do but there aren’t any moments to admire how unique parts of the city look and there isn’t anything memorable about it. You may not care about the story and might just want a racing game to pop in every now and then just to have a fun cop chase or a little race, Most Wanted is a good game for that! While the city is a little lackluster the game is made by Criterion, one of the most talented developers in the industry and the driving is still a pretty smooth experience. The controller layout is the same as most racing games, R2/right trigger is your gas, Square/X is your E brake (drift) and you may have to use L2/left trigger to brake or burnout. The way cars handle in this game feel really good, you may take some time adjusting to how the cars drift and the ways they turn but there is never a time where I blamed the controls for my mistakes. 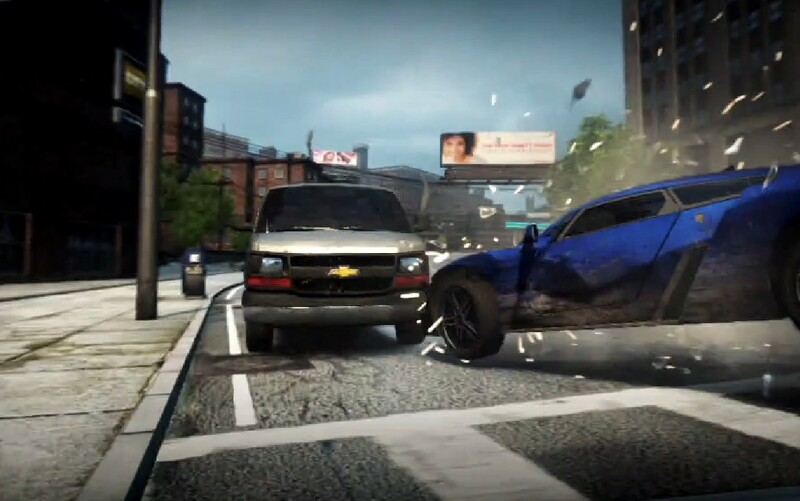 Each car handles differently from another which can create really difficult challenges in some parts of the game such as trying to drive through a sewer system in an F-150 Raptor. 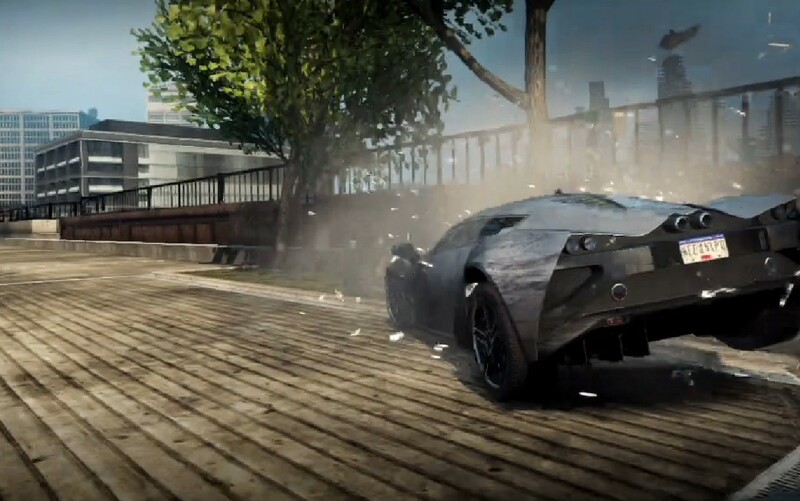 The game also features a great variety of cars, while there is the sporty cars there are a good bit of street racing favorites and exotic cars as well. One of the issues with all of these cars though is that all of them are available right at the beginning, there is no progression that makes you earn them, no special way of unlocking them, all of the cars in the game, besides the 10 most wanted can be found and driving right from the beginning. While this may be nice for the player we were talking about earlier that just wants to pop in and drive around for half an hour, this actually takes away from the experience. There is no sense of achievement that other racing games have where you can brag about having one of the fastest cars in the game for completing a certain challenge, it just doesn’t feel satisfying. One of the biggest problems I think that Need for Speed: Most Wanted has is that it doesn’t know what type of game it is at times. While it is a Need for Speed title, the game almost feels like another Burnout than Need for Speed. What I mean by the game being so close to burnout is that you can take down everything that you race and sometimes physics are a bit more unrealistic than the normal Need for Speed. But the bigger issue is that there is no black and white definition of what is okay and what is not okay. Some of the most frustrating parts of this game is the countless times you will bump into a civilian car or just barely touch a wall and your car will be obliterated, leading you to losing a race or being surrounded by cops. It may sound typical for a Need for Speed game but it’s not because the attitude that game has gives you the feeling that you should be taking down other cars and it’s incredibly hard when you don’t know what you are allowed to wreck and what you aren’t allowed to wreck. The only other thing that keeps Need for Speed in the title are the cops. Taking notes from the 2005 Most Wanted and also Criterion’s Hot Pursuit cop chases are pretty similar to how they have always been. The police are not very smart and will wreck into anything just to reach you and can be tricked into an easy getaway. You can’t go to new races while you are being chased and you also can’t fast travel to other areas while you are being chased. The game tries to even it out with off screen tricks where cars that are out of your vision will gain speeds that are impossible for even the fastest car to pull off and there are times where you know that you took down your opponent but after watching the mini map your opponents’ arrow may do a little spin or something then speed up right behind you. This trickery can lead to hours of useless cop chases and tight finish races that should be easier than what they really are. The multiplayer is one of the smoothest parts about this game because you are dealing with an open world and up to 12 players that are all working towards winning a round of 5 events. These events can be anything such as races, competing to see who can pull off the slickest moves or who can take out the most people, but there are also cooperative challenges where everyone can work towards the same goal and it cannot be won unless everyone completes it. Plus during all of these competitions you are encouraged to get in the way of anyone trying to win, some events you will be knocked out if you are taken down by another player so you get the rest of the time to prevent the other contestants from reaching anything higher. This all can lead to a ton of fun, especially with friends that also have the game as long as you are willing to dent some steel along the way. Even after the problems I had with this game I still think it is one of the more solid racing games that I have played recently, I thoroughly enjoyed most races even with the crashes and the Autlog presented social gaming in one of the funnest ways I have played. But after 20-30 hours of frustrating chases and having gone through the same challenges in multiplayer I don’t know if I will be picking it up again later on after the year is over. If you are going to get the game I suggest doing it now while your friends are playing it, or possibly get it with another friend that way you can make the high scores and online fun, but if you are looking for an exhilarating single player game in the Need for Speed series, it may be best to go back and play 2005’s Most Wanted on PS2 or Xbox 360, or even check out this year’s Forza Horizon.